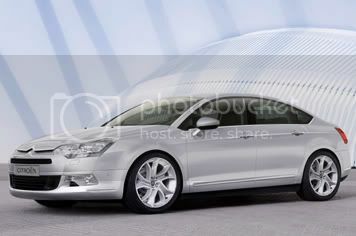 These are the first official pictures of the all-new Citroen C5, which arrives in 2008. Even so, we reckon that the new C5's got just enough Gallic flair to set it apart, and it's a good-looking machine. 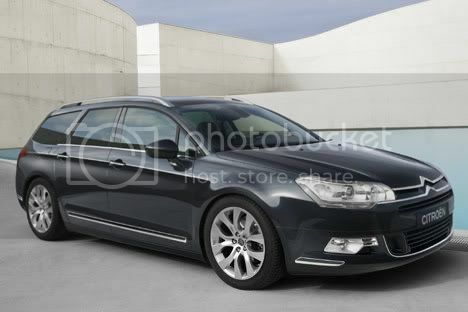 This time, the C5 comes in both estate and saloon forms, the latter with a concave rear window – a real Citroen feature. There's no hatch, whereas the previous model came as an estate or a hatch that looked not unlike a saloon. In a big departure for Citroen, the C5 will be available with 'normal' coil-spring suspension, though the company's trademark Hydractive hydropneumatic suspesnsion will be an option. The entry level models will come with coil suspension, and the posher models with hydropneumatic. With a push for more fleet sales, Citroen reckons on a 50:50 split of sales between the versions. Both coil-sprung (double wishbones up front, multi-link at the rear) and Hydractive cars are based on Citroen's Platform 3 – also used in the Peugeot 407 and the C6 saloon. Citroen says the new car is 70kg heavier than the current C5. 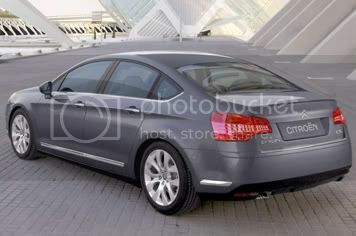 The C5 saloon is 4.78m long, 1.86m wide and 1.45m tall, and sits on a 2.82m wheelbase. The estate is the same width, but 4.83m long and 1.48m tall. Expect interior space to be excellent. There are few quirky Citroen touches in the smart-looking cabin, though the dials have "annular needles", said to have been influenced by the instruments in aeroplanes. That means that the needles run around the outside of the dials, leaving the inside clear for digital displays. A total of seven engines will be available; three petrols and four diesels.The petrols are 123bhp 1.8 or 138bhp 2.0 four-pots, and a 208bhp 3.0-litre V6. Diesels are a 107bhp 1.6, a 134bhp 2.0, a 168bhp 2.2 and a 205bhp 2.7-litre V6. They will be available with a range of five and six-speed manual gearboxes, a six-speed auto for the V6 diesel and a six-speed sequential manual 'box. There will be three trim levels: Harmonie, Caractere and Exclusive. All models get standard cruise control and electric parking brakes. 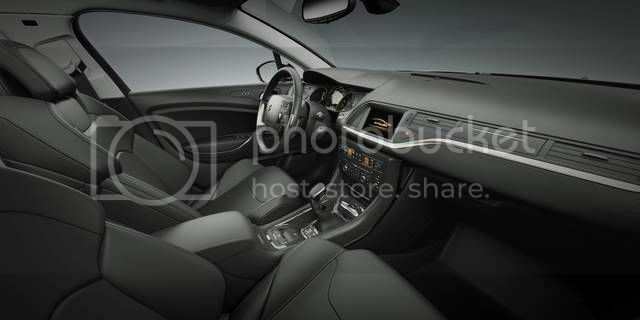 Options include xenon lights, massage seats and Citroen's next-generation NaviDrive sat-nav. Front, front side, curtain and driver's knee airbags are standard, and rear side airbags are optional. 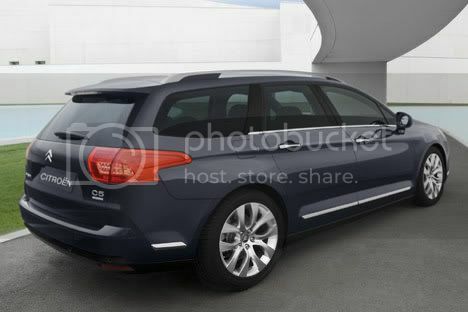 The saloon goes on sale in the UK in late May 2008, and the estate follows in August. Expect prices to start at around £15,500.